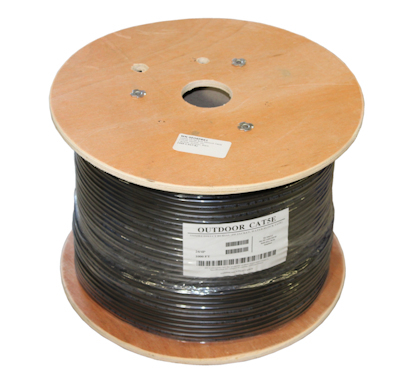 Cat5e UTP Solid 350MHz 1000FT Direct Burial Bulk Cable is ideal when it comes to installing the cable in the ground. Because of its water-proof tape layer, our Cat5e UTP Solid 350MHz 1000FT Direct Burial Bulk Cable has many under-ground applications. 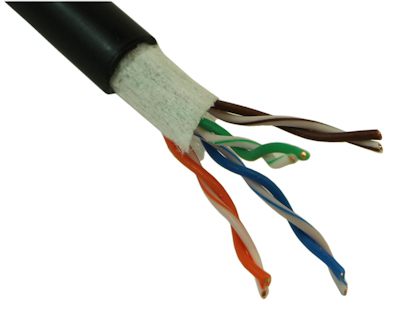 Our Cat5e UTP Solid 350MHz 1000FT Direct Burial Bulk Cable is UL listed and ETL Verified. 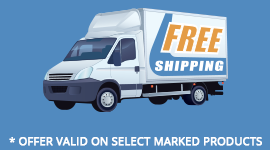 Tested to meet and exceeds Cat5e 350MHZ standards. Mylar Casing, Outer Jacket thickness: 0.0205"
NOTE: May be shipped in a wooden reel.